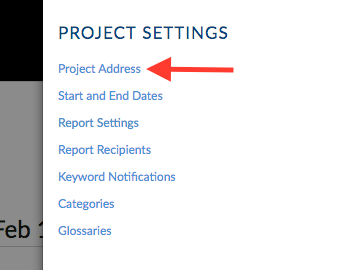 Select 'My Project' from project drop-down list at the top of the page. 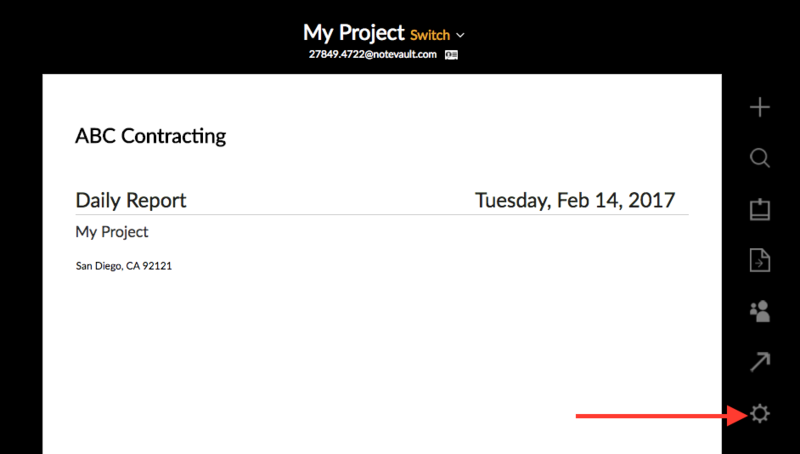 Click on 'PROJECT SETTINGS' (displayed as a gear icon) to the right of the Daily Report. Replace "My Project" with the name of a project you are currently working on. 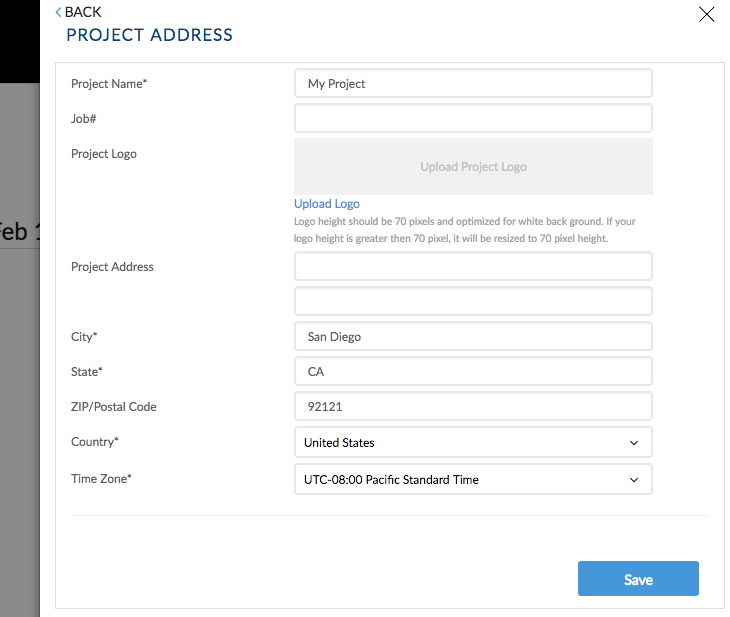 Input the project address, city, state, zip/postal code, country, and time zone (adding the project address will automatically show the weather report 3 times per day for your job site). Upload your company logo so that it appears at the top of the Daily Report. Want your logo automatically added to all new projects? Click here for instructions. Don't have a company logo yet? Check out this free website we found to create a high-quality company logo. Please scroll to the end of this page for directions. Don't have a company logo yet? Check out this free website we found to create a high-quality company logo. Please see the directions below. Create a free account or log in. Once logged in, change the custom dimensions to be 300 px by 70 px. To do this, you will go to 'File' on the top left. Type in '300' for the width and '70' for the height. Upload to NoteVault using the steps above!